In the city’s “supertall” wars, the spoils don’t necessarily go to the tallest, or most daring, or showiest, but the most attractive with the best views. 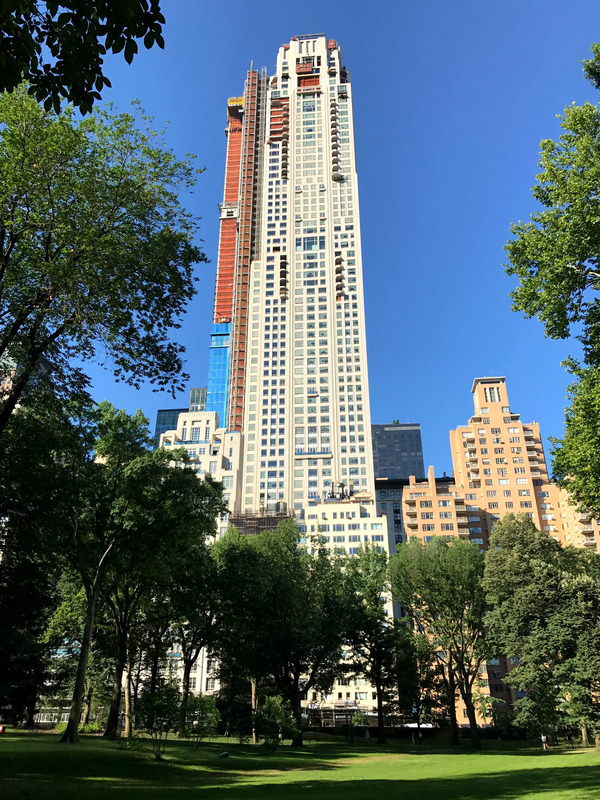 For a while, it looked like this 950-foot-tall, 160-unit, residential condominium tower at 220 Central Park South, one of architect Robert A. M. Stern’s Post-Modern derivatives of his fabulously successful, marketwise, 15 Central Park West, would garner the prize as the most alluring. 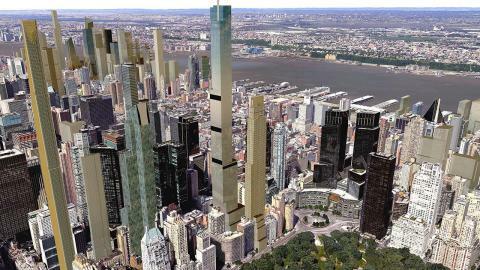 Based on early renderings, it promised to become the city’s most nicely proportioned and elegantly finished residential Supertall. In 2016, new renderings indicated, however, that the plans had changed and that its symmetrical mid-rise setbacks were now replaced with only a setback on the east side, balconies were put, in significant numbers, on the tower’s park façade, and that its extremely handsome top was not only rather clumsily altered but also duplicated in part lower down on the façade interrupting the tower’s soaring grace. While the bad news was that the new design fussily sullied the tower’s marvelous elan, the good news is that its new asymmetry complimented the even more drastic asymmetry of its immediately and much taller neighbor across 58th Street, the 1,501-foot-high, cantilevered, Central Park Tower at 217 West 57th Street that was being erected by Extell Development. That contextual gesture, however, is likely to be lost in the shuffle between these two towers. In the grander scheme of things, such trifling changes might seem ignorable, but given the momentous spurt of supertall construction in the neighborhood it may make a difference is “crowing” rights. This limestone-clad, through-block, 65-story tower at 220 Central Park South looms significantly over its full-block neighbor at 15 Central Park West but its architectural vocabulary and style is quite similar. 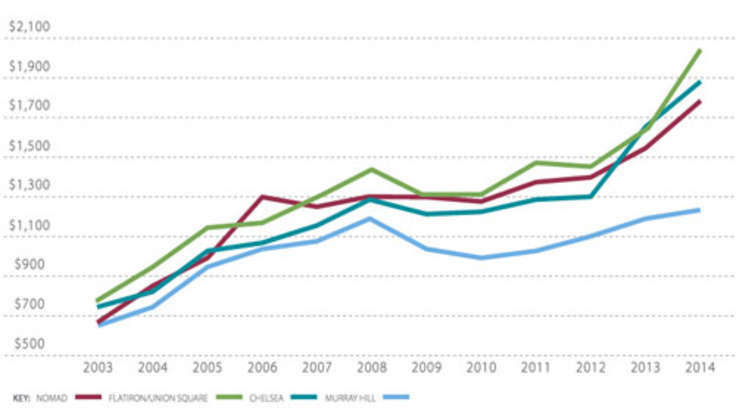 Both developments have a mid-rise building directly fronting on Central Park and the taller tower setback. 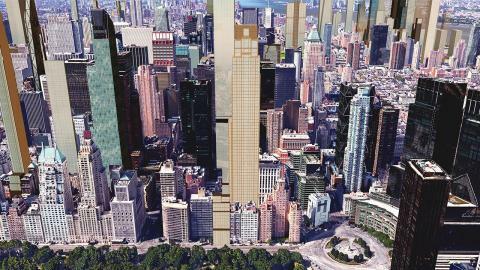 At 15 Central Park West, the tall tower is closer to Broadway. 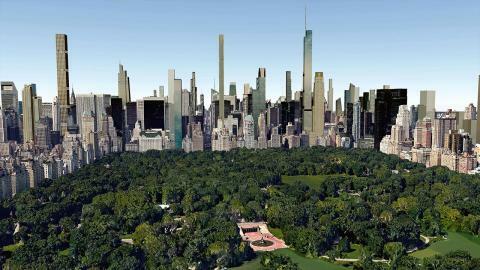 At 220 Central Park South, it fronts on 58th Street but is not directly behind the shorter structure but placed to its west allowing for the creation of a large and formal driveway. 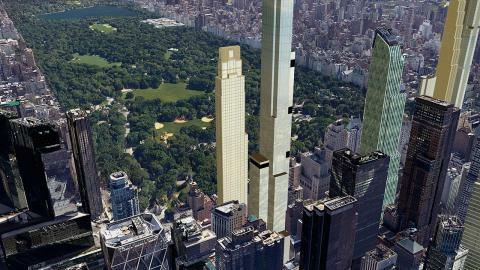 Vornado Realty Trust, which built One Beacon Court on Lexington Avenue between 59th and 58th Streets, is the developer of 220 Central Park South. The Zeckendorfs built 15 Central Park West and have hired Stern again for another supertall at 520 Park Avenue that is similar in design to this project as is Stern’s design for Silverstein Properties at 30 Park Place next to the Woolworth Building in Lower Manhattan that was erected before Stern took up crayons. 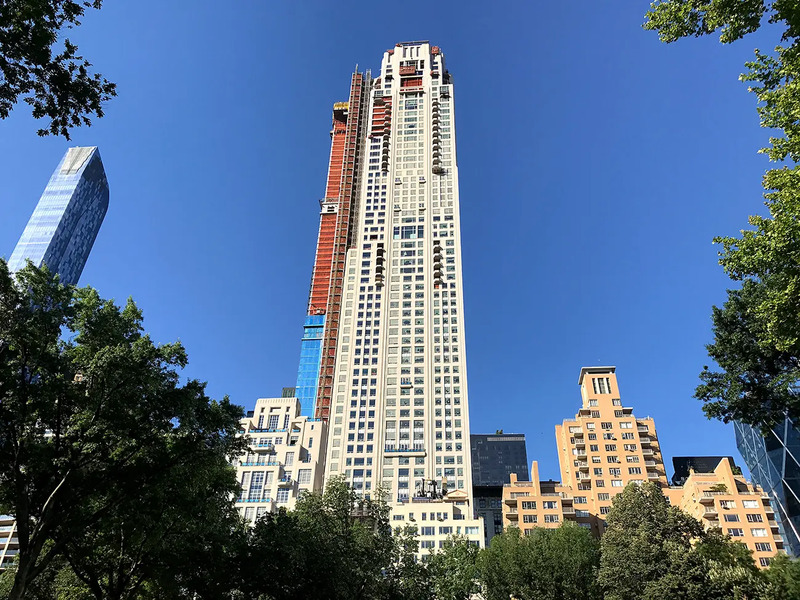 The 520 Park Avenue tower is considerably shorter and much thinner on its east and west façades than 220 Central Park South whose mid-rise “wing” holds the “building line” on Central Park South and has a very large glass marquee in the project’s driveway. "In the city’s “supertall” wars, the spoils don’t necessarily go to the tallest, or most daring, or showiest, but the most attractive with the best views.